Mu husband Rich plays the trumpet, flugelhorn, and guitar. Yes, he is a very talented man. He also loves to cook, which is great for me because I really do not cook, except out of a box. Sad, I know. But I do love to sew and create in several different mediums. One of those mediums is fibers. Thus, the art quilt. An art quilt is by definition three layers stitched together with thread. So you have your top which is usually a design of some sort, batting and a backing. You have seen several of these art quilts of mine. 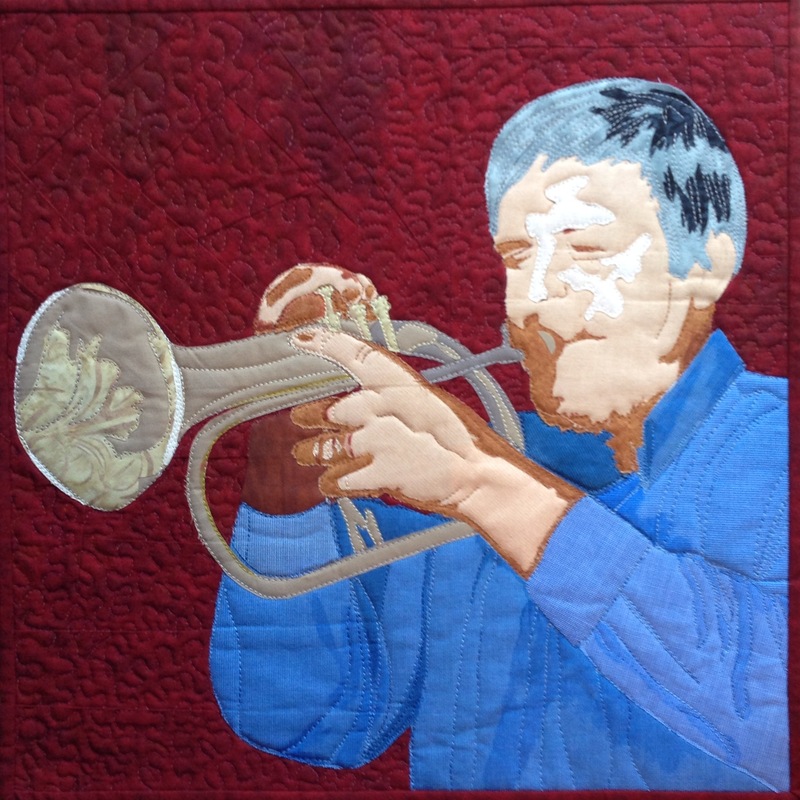 The latest is from a Jazz challenge from the quilting quild I am a member of. The challenge goes out to create a wall quilt, aka art quilt, with the theme of Jazz. It has to be your original creation (no copying from anything else), and has to be 14″ X 14″ sqaure. It was a fun challenge. Now on to the next one. Stay tuned. It’s so good to see you here again. You are wonderful and very talented artist…and my friend-how lucky am I!!! !